With the exception of a weakening pound and falling interest rates, we are yet to see the full impact of Britain’s vote to leave the European Union. Perhaps we may not ever see it if Teresa May and/or others decide against triggering Article 50 to herald the start of the process. We currently sit in a ‘phony’ period where no-one knows quite what will happen, causing doubt and uncertainty to set in. We await with bated breath the latest results to come out of the Treasury and the Bank of England. The latter recently reduced interest rates to an historic low of 0.25%, at the same time announcing a new round of Quantitative Easing. Falling interest rates are either a good thing or a bad thing depending on which side of the saver/borrower fence you occupy. Clearly borrowers are happy, but for savers, especially those who rely upon their capital to supplement their retirement income, it’s not such a happy picture. Indeed, I am seeing this most days I speak to people about their finances. Thankfully, we are able to make investment recommendations that will generate higher levels of returns to counter falling interest rates, but these don’t suit everybody. But like most things I find in financial services, there’s generally a positive that accompanies a negative, if one looks close enough. One such area relates to the impact falling interest rates has upon pension transfer values. In my last article I touched upon the way transfer values from occupational (defined benefit) schemes are calculated. Without going into chapter and verse, a fundamental part of the calculation process uses gilt interest rates to determine the transfer amount. Although the schemes have a certain amount of leeway in interpreting the rules, the bottom line is that low interest rates result in much higher transfer values having to be quoted by scheme trustees. This makes the decision on whether it suits an individual’s purpose to transfer somewhat easier to determine. The observant amongst you will recall I mentioned TVAS in my last article, and the (somewhat out-of-date) rules that the FCA still clings on to. Remember critical yields? Well, a higher transfer value will result in a more achievable critical yield becoming attainable, so making the decision to move to a personal pension such as a QROPS, easier to make. Sure there are variables and these are more or less important depending on who you are and what your circumstances are. Carrying out a full analysis of your own particular situation, Spectrum’s advisers can place you in an empowered position to make your choices, so, if you have a defined benefit scheme that you’ve either never reviewed, or one that hasn’t been looked at for a while, perhaps now is the perfect time to do so. If you are based in the Midi Pyrenees & Languedoc Roussillon area you can contact Derek at: Derek.winsland@spectrum-ifa.com for more information. If you are based in another area within Europe, please complete the form below and we will put a local adviser in touch with you. 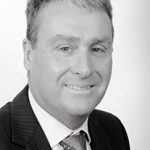 Contact Derek Winsland direct about: "Every Cloud"
Will Brexit affect your plans to move to France?